We are a sustainable nursery and strive to do the best for our employees. Our certificates and development projects prove this. Linssen Roses is MPS-A, MPS-SQ, and EHPEA code of practice certified. 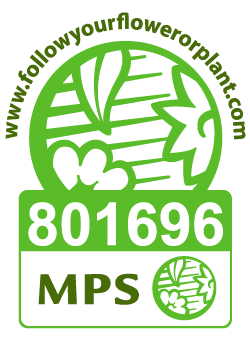 We are MPS-A (environmentally) and MPS-SQ (socially) qualified and can proudly say that Linssen Roses is a fair rose farm. If you buy a Linssen Roses bouquet, you are guaranteed that the production of your roses has caused minimal harm to the environment and that no employees were unfairly treated. The Dutch MPS-ECAS organization holds regular audits to ensure we live up to their strict conditions.